So with this movie, we find our beloved Jack Sparrow in the middle of London, searching for an imposter who has been impersonating him. A lot of swashbuckling heroics follow. He saves his erstwhile first mate Joshamee Gibbs from being hanged. While escaping he is captured by King George II 's men. The king has a conversation with him wherein he is asked to guide an expedition to the Fountain of Youth, headed by his former arch-rival Captain Hector Barbossa. He comes to know that the Spanish have already set sail in pursuit of the Fountain. 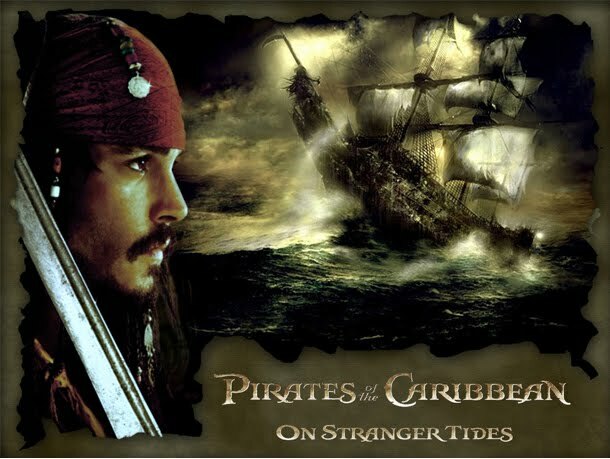 Sparrow jeopardizes the conversation and escapes, only to meet his father Captain Teague who warns him about the Fountain's tests. Here, after a brief sword fight, the imposter is revealed and it turns out to be Sparrow's former lover, Angelica (Penélope Cruz), the daughter of the ruthless pirate Blackbeard. 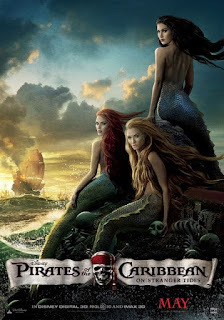 Following Angelica's ploy, Jack finds himself aboard Blackbeard's ship, the Queen Anne's Revenge, and after a failed attempt to mutiny, Jack is forced into Blackbeard's crew. And as it turns out, Blackbeard too, is headed for the Fountain. While en route, Angelica tells Jack how, in order to be effective, the Fountain's water must be drunk from chalices belonging to one Juan de León, one of which one must contain a tear drop of a mermaid. Legend had it, that the person who drinks from the chalice with the mermaid tear would absorb the remaining years of the person drinking from the other chalice. Meanwhile, Gibbs, who had had Jack's map showing the path to the Fountain is taken captive by the king's men. As a desperate last resort to save himself, he memorises the map before burning it in front of them. He is thus asked to guide them, and a race ensues. commendable chemistry between Depp and Cruz throughout. Clearly, no. It only does, but half live up to the expectations that an ardent Pirates fan would harbour. Which is what happens when you do something that Marshall so incongruously did. Obliterate two protagonists entirely (did anybody else miss Will Turner and Elizabeth Swann? ), take an unrelated and an underrated story, and try to chip it into a chronicle as grand as Pirates, and call it the Grand Finale. And if you do choose to watch, do not miss Jack Sparrow's dialogues and retorts. They are as witty, as snide, and as epic as ever. Also, do not miss the post-credits scenes. That is one and the only scene that actually makes you think. On home, and why it is so.